This is the 9" Vltor Carbine Length Keymod Rail PolyLithic Upper Receiver. If you LOVE the Vltor MUR-1A You'll DOUBLE LOVE the VIS-KM series! Vltor has taken the Keymod rail and married it with the MUR Upper Receiver to create one solid Free Float system. 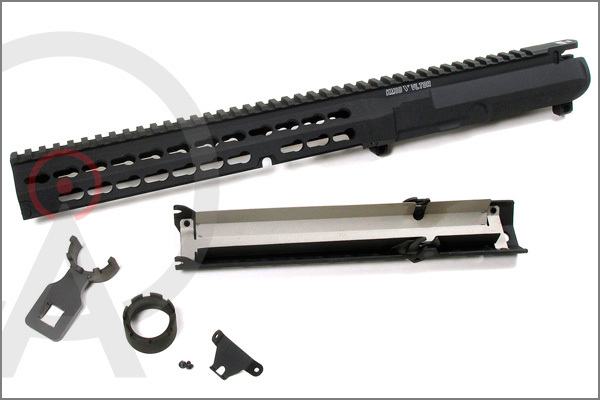 This modular Upper Receiver is lightweight and is compatible with most Keymod accessories. * Overall Length = 16.5"